During the past decade, I have transcribed conversations with various united states and british accents. Am particularly familiar with received pronunciation, canadian, new york...Read moreDuring the past decade, I have transcribed conversations with various united states and british accents. Am particularly familiar with received pronunciation, canadian, new york city and central mid west accents, besides cantonese yue and japanese accents. The subject matter transcribed included research interview for doctoral thesis, technical seminar, computer software design discussion, dictation and court proceeding. My daily transcription capacity is half recording hour. I work from my study using an iMac, Express Scribe, foot pedal and headphones. Transcripts shall be sent to you as Word (docx) format, Rich Text Format (rtf), Acrobat Reader (pdf) format and text (srt). Supported audio file formats included mp3, aac and mp4. 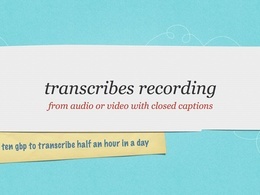 Consider hiring me as your transcriber as I am reasonably priced with good response time. Transcribing of interviews - 45 minutes worth of audio. I need an Indian based / Indian native transcriber for a 67 min interview. Excellent. Really professional and a great transcript. This was my second time hiring Mr. K. I am very happy with his work and he was very easy to work with. 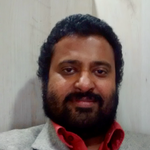 I am very happy with Mr. Kozhalmannam's work. He transcribed a phone interview VERY quickly, and rather accurately. His communication on the project was excellent. I plan to hire him again. Good value for money. Thanks Koz. Kozhalmannam worked very hard but didn't deliver the verbatim transcription I needed. If accuracy is not essential he provides good value for money. I accept this evaluation and shall stay off verbatim transcription.